The Crooked Road Boulder is huge. 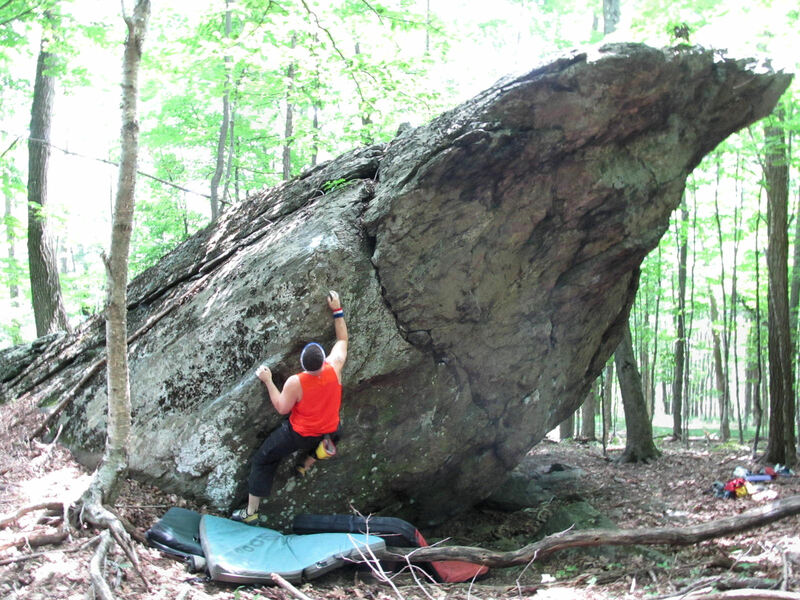 With the rest of GHSP’s clustered Boulderfields in perspective, the Crooked Road Boulder is a loaner; a recluse in the forest. Yet, concerning its size it easily constitutes several boulders at once. As large as the Crooked Road boulder (CRB) is, it can be difficult to locate. This unexpected megalithic boulder is a jewel of a rock though and worth a trip, even if exploratory, to find it. Tall, steep, and amply featured this boulder is awesome for any climber looking for easy to moderate boulder problems in a peaceful and uncrowded section of GHSP. 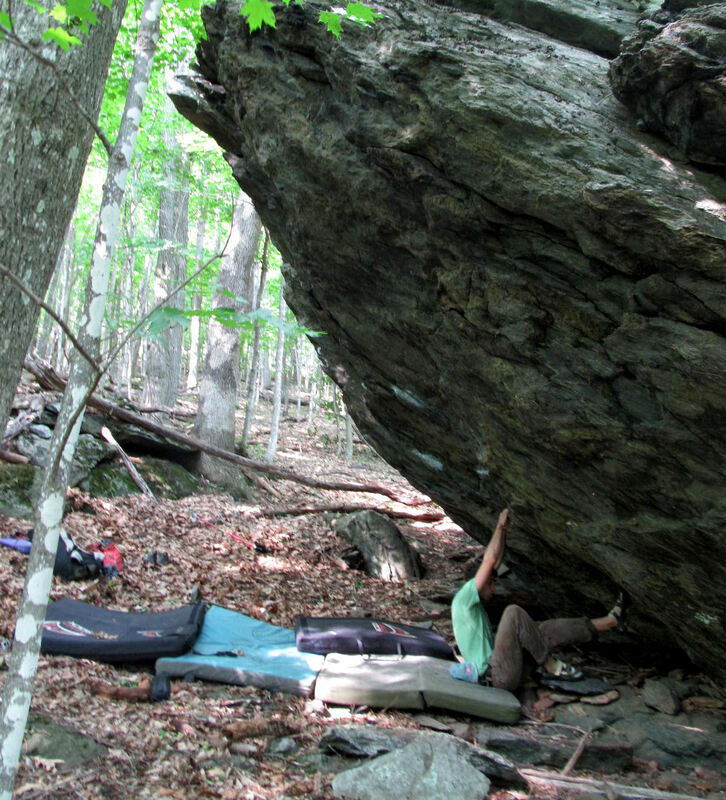 It was hard to pick just one boulder problem to cover for the CRB. “Life is a House” and “Narcolepsy Crack” both are a joy to climb, “Rosewood Casket” has that flow, and “Man of Constant Sorrow” still gives me anxiety when reminiscing about the top section. I chose “Johnny Get Your Gun”(V5) simply because it is a techy, steep, awesome line without a deadly fall and because it is challenging halfway through, into a juggy finish (what’s not to love?). This little sign located somewhere in VA is not to be confused with the “giant sign” at the parking area. The name of the boulder is based off of the giant sign at the parking area describing the history of and route that the actual Crooked Road follows. 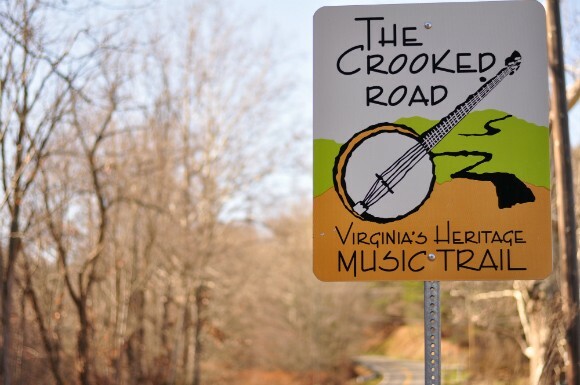 The Crooked Road winds through and links together almost 300 miles of scenic terrain and back roads in Southwest Virginia including ten counties, three cities, and ten towns. This region of Southwest Virginia’s Appalachia is steeped in bluegrass music and Appalachian heritage which is why many boulder problem names here are also names of famous bluegrass and country music songs. “Johnny Get Your Gun” can be traced back to WW1, but is also a –not so- historical, but good, Old Crow Medicine Show track. As mentioned before, CRB is tough to locate. Basically, pull into the convenient pull-off immediately to your left once you turn into the park entrance. Get out of your vehicle and walk up the hill behind the sign (over the rock wall, up the mowed grass, into the woods). Walk straight back to the logging road/firebreak that leads up hill (follow the stacked rocks). Trek up along the firebreak until you see the large block on the right (see diagram in GHSP Guide). Turn off of the firebreak to the right at the block and traverse the hillside until the massive, dark, ominous boulder appears (that would be the CRB). All the approach confusion can be avoided however, if you wait for another short timeframe for the Rakkup smartphone GHSP Guidebook app to be released. This awesome app is equipped with turn-by-turn navigation (yes that includes turn-by-turn climber access trail directions) to every boulder listed in the 1st edition GHSP Bouldering Guidebook. With full color photos and interactive mapping you will be able to walk effortlessly to any boulder in the park… I couldn’t be more excited! 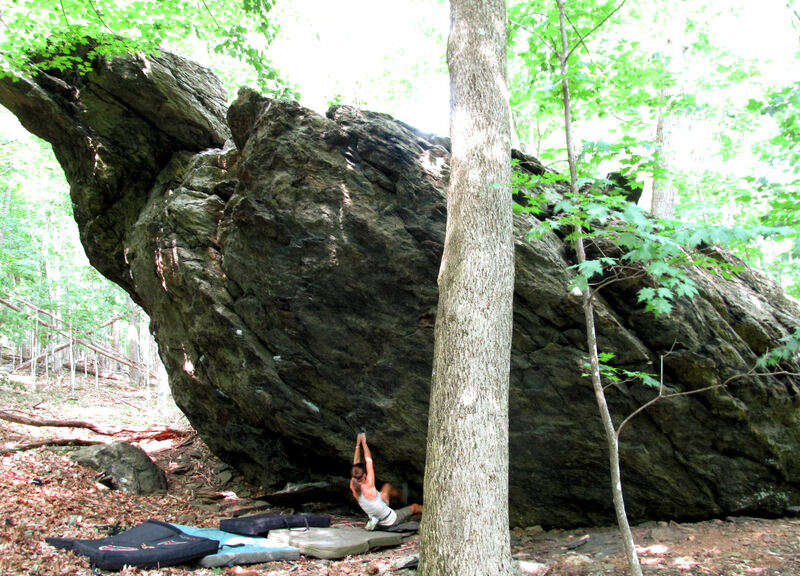 ← Join Grayson Highlands Bouldering on Facebook!